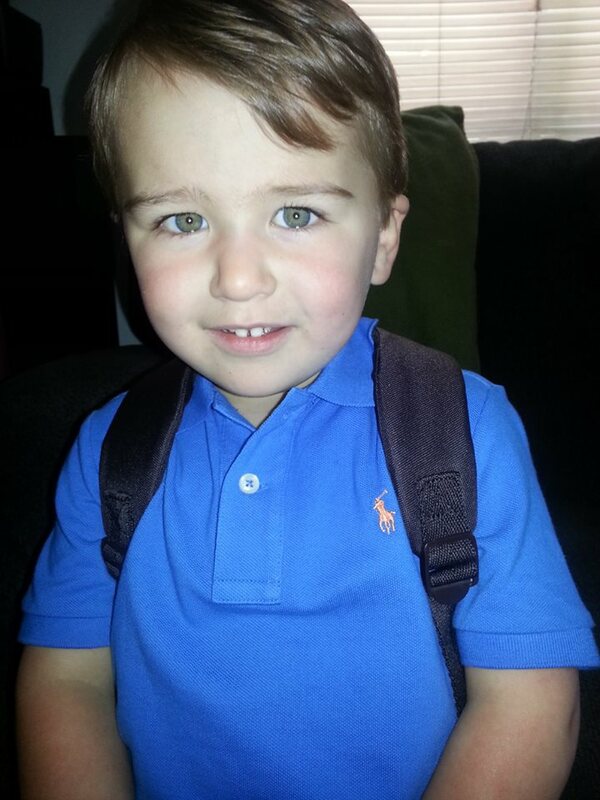 Zach started preschool today. He's amazing and funny and smart. He has an expressive language delay that qualified him for public preschool. Just when I start to worry about it, he does things on his own. He learns new words or a word he once pronounced funky becomes clear. For example, Lightening McQueen used to be "AhBaba", which we figured out were place markers for the syllables of "Lightening". "Yaya" was Evan. Now both of these are crystal-clear. I remind myself daily that the fact that he is here, that he is healthy and thriving is a miracle. We'll get the language part down in due time. His old speech therapist from early intervention went out on a limb to guess that this issue he has will be resolved by the time he starts kindergarten. Other than this, he is very bright. Growth-wise, he is in the 98th percentile for height and the 96th for weight. This is no longer adjusted for prematurity,as he is beyond his third birthday. He's a big boy, but proportionate. Of course when a 33-weeker comes out at over 7 lbs, we knew this would be the case. I love him so much. I have gotten to a point where I am at peace with the whole pregnancy, where it no longer matters how he came into the world, only that he did. That he is here and well. It has taken years.